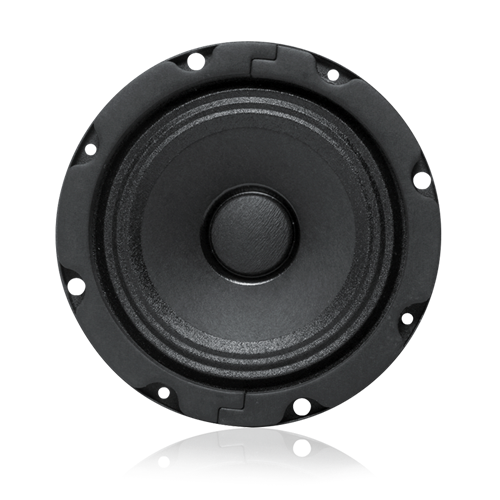 The FC104-T70 is a full-range, 4" (127mm) speaker equipped with a damped, high-compliance cone which provides excellent low frequency reproduction and smooth extended response. Model FC104-T70 also offers a wide dispersion angle which reduces the number of speakers necessary to achieve total coverage in low-ceiling distributed systems. 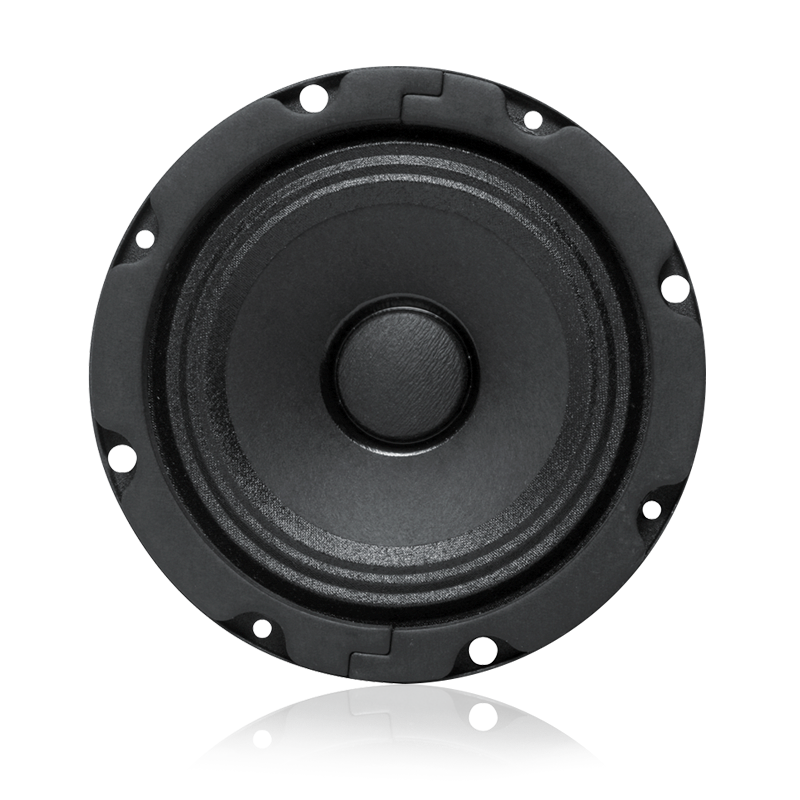 The speaker offers a frequency response range of 150 Hz to 17 kHz, sensitivity of 94dB (at 1 watt, 1 meter) and a dispersion angle of 135° (-6dB, 2 kHz octave band). The unit contains a 10 oz. (283g) ceramic magnet with a flux density of 10,500 gauss. The FC104-T70 includes a factory installed 5 watt 70.7V transformer. This Industry standard, high quality transformer with audio grade laminations offers low insertion loss and full-range frequency response. The insertion loss does not exceed 1.5dB and the frequency response is +1.5dB from 100 Hz to 10 kHz. Primary taps are .5, 1, 2 and 5 watts. Secondary impedance is 8 ohms. A dual-purpose bracket securely mounts the transformer in a low profile position and enables torsion spring mounting found on many AtlasIED baffles.